It seems so simple when you hold it in your hand. A small, soft feeding cup with a tiny reservoir at its spout. 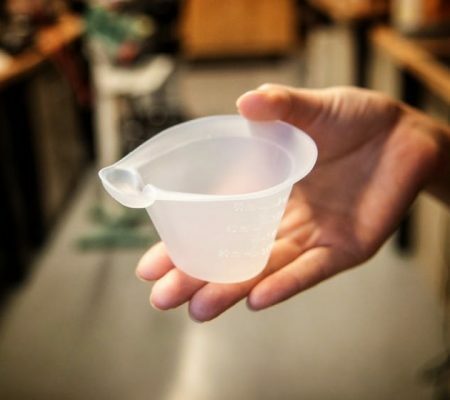 Called the NIFTY™ cup, it truly is a nifty, elegantly designed, and inexpensive solution to a complex and all-too-common problem: how to feed nutritious breastmilk to preterm infants and to babies who have issues breastfeeding due to cleft lip or palate. The World Health Organization calls breastfeeding “one of the most effective ways to ensure child health and survival.” Ideally all newborns should be fed breastmilk; however, in practice there are challenges to achieving that goal. Several million babies born each year in Africa and South Asia can’t breastfeed due to prematurity or craniofacial anomalies like cleft lip or palate.